-Class schedules will be mailed out on August 3rd. Look for them in the mail after August 3rd. – August 17th is 7th grade day only. All students report on August 18th. -All in coming 7th graders are required to have updated immunizations by the first day of school. Provo City School District along with Utah County Health Department will be hosting a FIRST DAY of School Immunization Clinic. It will be held August 17th from 8:30am-12:30pm in the PDC at the District Office. Utah County Health Department accepts most insurances, including Medicaid and CHIP. 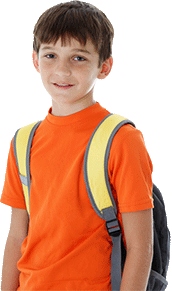 The Utah Immunization Rule requires that all immunizations must be given and documentation must be provided to the school before the first day of school, or a student can be excluded from attending school. If you have questions about required immunizations, refer to www.immunize-utah.org.